We all know we are going to have a ton of cap space going into next year, but we also have a lot of young guys due for a pay day. Our current cap space stands at $107M. Who do you think we extend? and what do we think those contracts could look like? Knowing Jets' 2019 cap space being number one in NFL, agents definitely advise their clients against all extension talks until next off season. Morris Claiborne's return will depend on the progression of Rashard Robinson and Derrick Jones. Possibly lean to cheaper veteran CB to mix in. James Carpenter's return will depend on how much ZBS plays are called. Jets won't re-sign him if they plan to expand number of ZBS snaps. McGuire and Crowell could thrive in ZBS during Darnold's young seasons. Kelvin Beachum and Brandon Shell's future will depend on 2019 draft or UDFA. However I think Shell should continue serving for Jets. We don't need to worry about Robby Anderson until 2020. Big Q and Jeramine Kearse should return otherwise Jets could draft WR AJ Brown instead of exciting edge prospect. Eye on Henry Anderson and the actual progression of Nathan Shepherd. Performance-Progression slider is required there. I would make it a priority to sign the guys that perform for us this year. We will still have a lot of cap flexibility even after signing our own guys. The issue is that there likely won’t be many free agents to spend that money on. As it stands, we will be able to spend money on an edge player. Aside from edge, the rest of free agency looks bare. Priority resignings: 1st round tender Anderson, sign Enunwa $10 mil per year, sign Claiborne $10 mil per year. Other resigning: I would also look to bring back depth players like Andre Roberts, Neville Hewitt, Frankie Luvu, Josh Martin, Doug Middleton. QB: if Davis Webb develops, I would like to have him as the backup with McCown as QB coach. He’ll be a 40 years old. Not sure if my numbers make sense. But I gave it a shot. I honestly wouldn't mind having all those guys from the 2019 FA class back with McCown going to a QB coach role. They all will either fight for PT or be great depth if beat out by a rookie. If they make a splash in FA for a LG or #2 CB or younger WR then maybe one of Mo, Skrine, Carp or Kearse move on but overall have no issues with any of them staying. Our depth is improving so I hope we keep it and build through the draft on it. If we have a great year it might be hard to sign them all. If we have an OK year most will be brought back and if we have a bad year most will be let go. Realistically I think we bring back, Quincy, one of Pryor/Kearse, Claiborne, And is guess we’d look to extend Leo. Too early to really tell, anything can happen in a season. Robby could get have off the field issues again, Enunwa can mess us his neck again, Pryor can agitate his ankle, Claiborne can get revert back to his injured past. Ask me 1/2-2/3rd the way through the year and I can give a bette answer. Leo and Enunwa are the two I envision getting extensions first. Leo’s will be a monster deal and Enunwa’s should be modest... Enunwa has become the primary option on offense so I expect that to get done. For the 2019 group: Robby will be a RFA so no rush there. 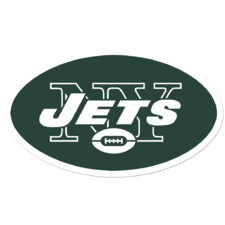 I don’t think the Jets feel pressure at CB- they have high hopes for Robinson (who Bowles has stated became a “professional” this offseason) and their other young players, so Claiborne/Skrine will likely hit the open market. I think Henry Anderson will be a priority, but not until the offseason. They’ll look to bring back McLendon on a 1 year deal. They won’t bring back Pryor and Kearse- I think it really depends on what’s out on the open market/how the young guys develop. 2020 group: they may look to replace Beachum this offseason, and if they can’t still don’t expect he gets an extension in 2020. Lee will get the 5th year option if he keeps up his play. Shell has quietly played fairly well. I think they’ll seek to lock him up long-term this offseason if he keeps it up. I agree the two that need to be done are Leo and Q. I'd be good with Mo, Anderson, and McClendon back if they keep playing at a high level or we can't find an upgrade. Shell needs to be the long term RT, that is huge for our OL. If he can't then we have major OL issues. OT: Quietly Winters has been really solid on the OL. +1. We have a path forward to be competitive next year. Long, Winters and Shell are good. It’s that left side that needs to be a priority. If we can come out if next offseason with Marpet, Barr or Fowler,Jonah Williams in the first, Funchess, while resigning our main guys, that’s a team that should have playoff aspirations. Forgot about Barr. Love his all around game even if he isn't a high sack guy. He is asked to do so much other stuff and he's great at it. We very well could be in play for Williams who is a top 5 pick. We have a rough schedule ahead after CLE. We are unlikely to land all those guys with how much cap space is out there but I'd love Barr/Fowler and Marpet. If we could bring in those two positions and draft Williams we'd be in great shape. Same. I really like Barr’s game. He was a double digit sack guy in college when he played edge. I’m a fan though because he can also cover and help against the run. Plus he is a high character guy. Jets shouldn’t be shy about overpaying for those guys either. Agreed. No issues going all in on Barr and Marpet. I would go big time for both like 18-20M for Barr and like 14M for Marpet. Both put them at or near the top of their respective positions. Overpaid you bet but you can never overpay to protect your young franchise QB and add an elite player at an impact position like pass rusher.